Mark S. Durfee began his practice for the purpose of offering a broad and diversified menu of professional financial advising as well as some of the highest quality financial products available in the marketplace. Mark is highly skilled with over 20 years experience in the financial service industry. The purpose of Mark's professional financial advising is to actively discover unexposed solutions for his clients by allowing them to communicate their goals and objectives. This is accomplished by combining these solutions to a complete range of financial products and services designed to focus on the client's immediate and future needs and desires. Mark has always been a leader in his community. He attends Salem Baptist Church. He has serviced as Treasurer for his prior church, Central Baptist Church of Fountain City (~2500). He has served as Chairman of the budget/finance committee of his prior church. He has served as Vice President of the Halls Business and Professional Club. He has been married for over 18 years to Susan Durfee, a 3rd grade teacher at Adrian Burnett Elementary. They are proud parents of Elizabeth Ann Durfee born March 15, 1998 and Brett Durfee born April 25, 2003. Mark's previous financial service industry experience includes office manager of Home Federal Bank's Broker/Dealer (Home Financial Services, Inc.). 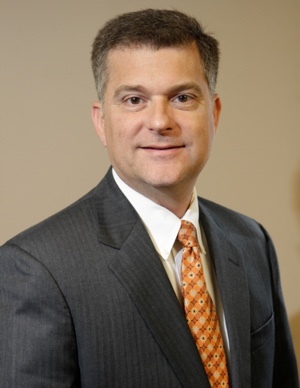 Mark has been responsible for clearing security trades through the Depository Trust Company (DTC) and the Federal Reserve System, HFSI general ledger, HFSI customer accounts, HFSI reporting to meet compliance requirements, and analysis and payments of Collateralalized Mortgage Obligations held on Home Federal Bank's portfolio. Mark has been Home Federal Supervisor for funds and security transfer within the Federal Reserve System. Mark has been responsible for maintaining the cash position of Home Federal Bank (e.g. investing in Fed funds) and interest payments due on security positions held by Home Federal Bank. Since 1996, Mark has been working closely with independent insurance agencies by providing life and health insurance needs for his customers. Since 1998, Mark's focus has been providing financial advice for his clients. SagePoint Financial, Inc., Mark's current broker/dealer, has been pivotal in collaborating with Mark so that he may provide his clients the most comprehensive investment approach. This approach helps to meet his clients' financial goals and objectives. Mark S. Durfee is a broadly diversified financial advisor that began his business for the purpose of achieving one key mission -- adding value to people through wise advice with a personal touch.